But there’s good news! 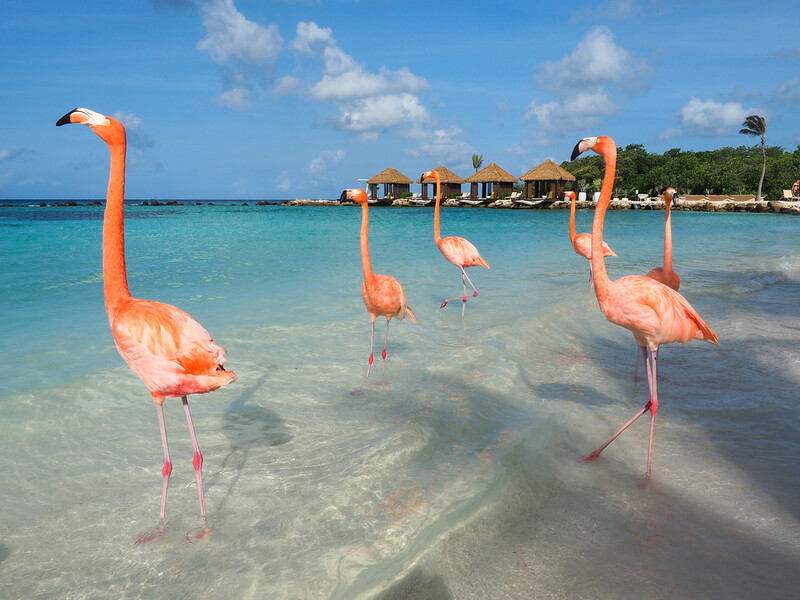 There’s a small group of islands called the ABC Islands – officially the Leeward Antilles, the western-most islands of the Lesser Antilles – that lie in the far southern Caribbean outside of the Hurricane Belt. The islands are located just a few miles north of the coast of Venezuela, though are still connected to the Netherlands politically. The ABC Islands are Aruba, Bonaire, and Curaçao. 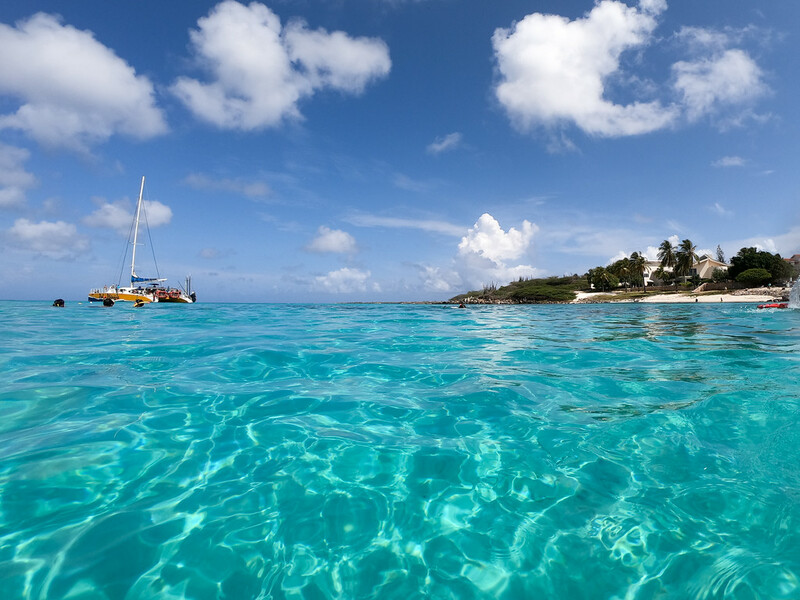 Bonaire is known as a diver’s paradise, while Aruba and Curaçao have more to offer different types of tourists. 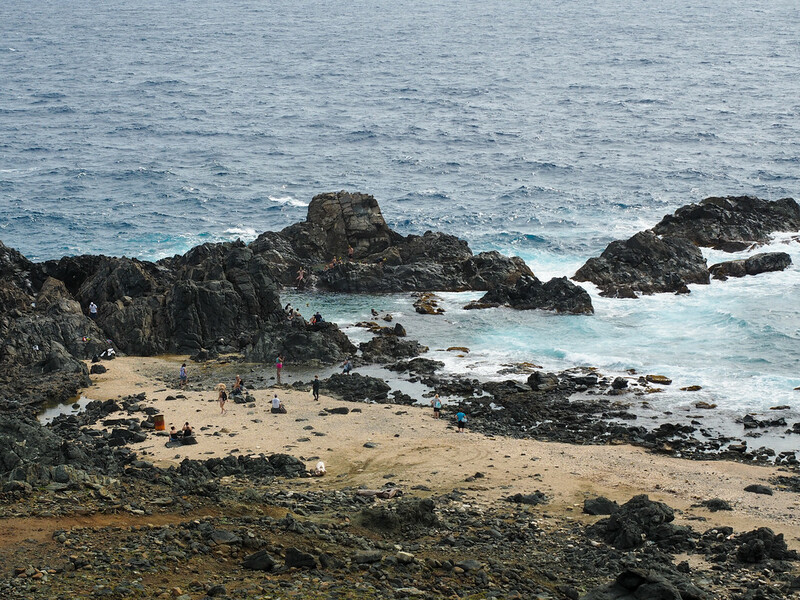 The island’s main industry is tourism, and it’s well-equipped to deal with visitors. There’s a lot to do, from off-roading in the national park to beach hopping. And it’s not far from the US; just a 4.5 hours from New York or 3 hours from Miami. 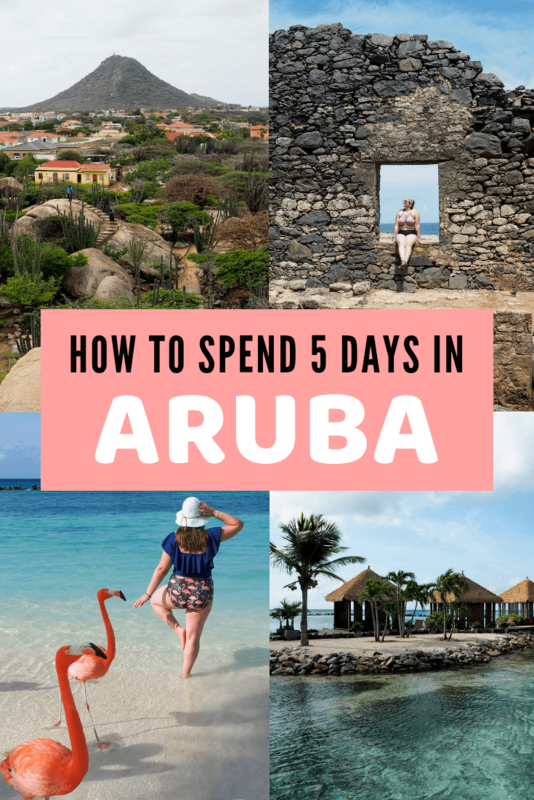 If you’re considering visiting Aruba yourself, here’s a 5-day itinerary to help inspire your trip. 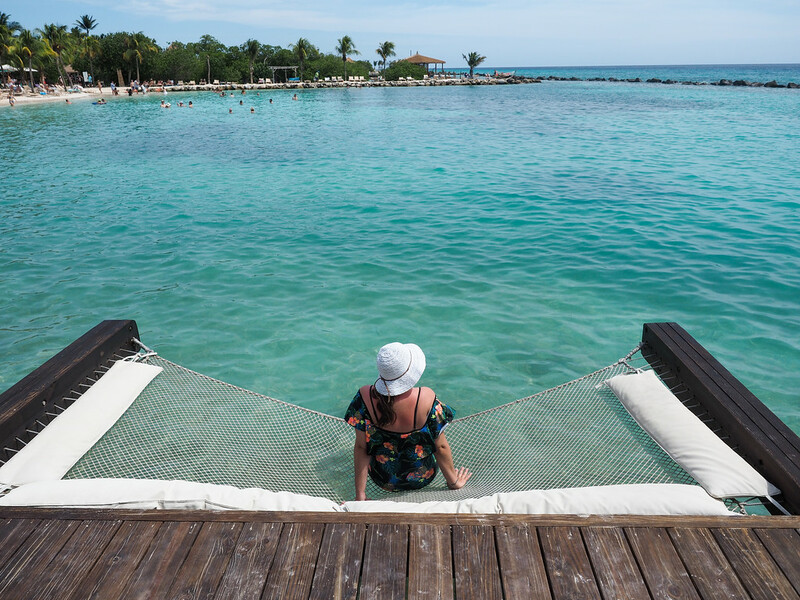 Four or five days is the perfect amount of time for a quick Aruba getaway. 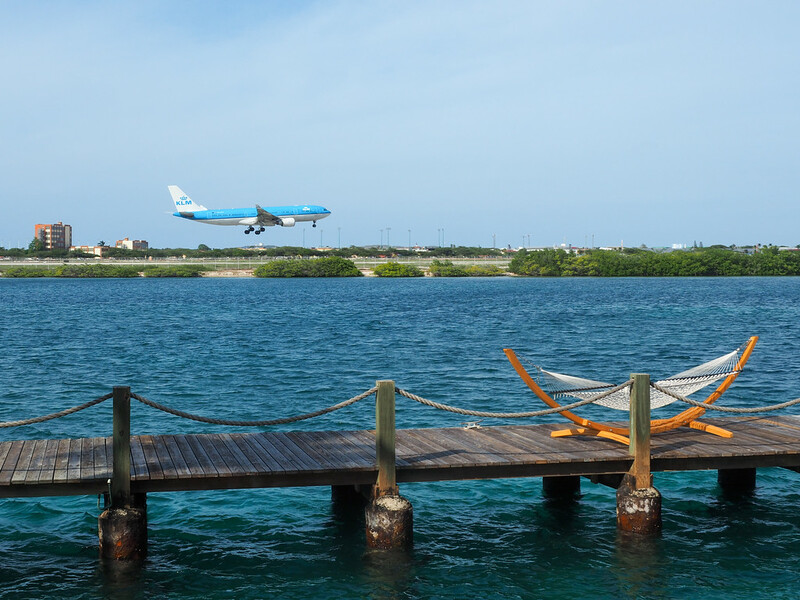 If you’re flying from the US mainland, you’ll probably end up arriving in Aruba sometime in the mid-afternoon. 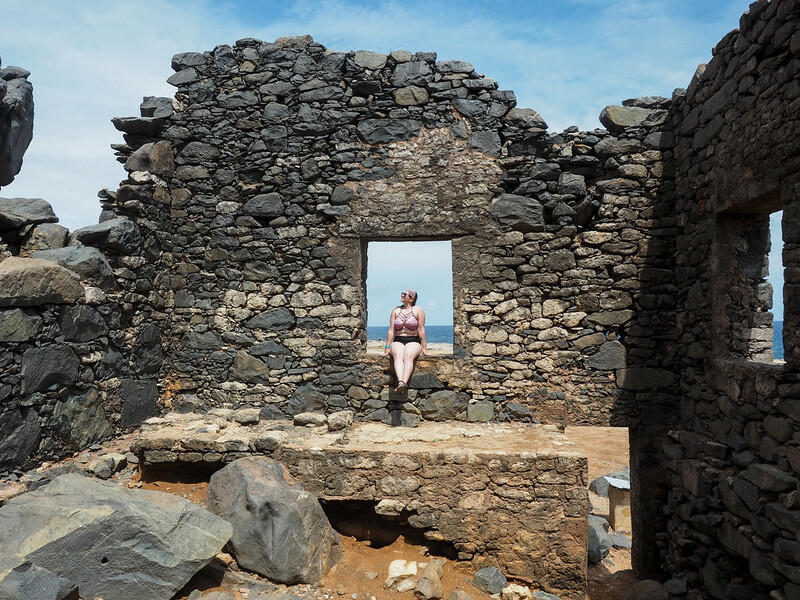 The best way to get from the airport to your hotel is via taxi – I don’t actually recommend renting a car for your whole time on the island, as I’m suggesting going on some tours for the first couple of days! 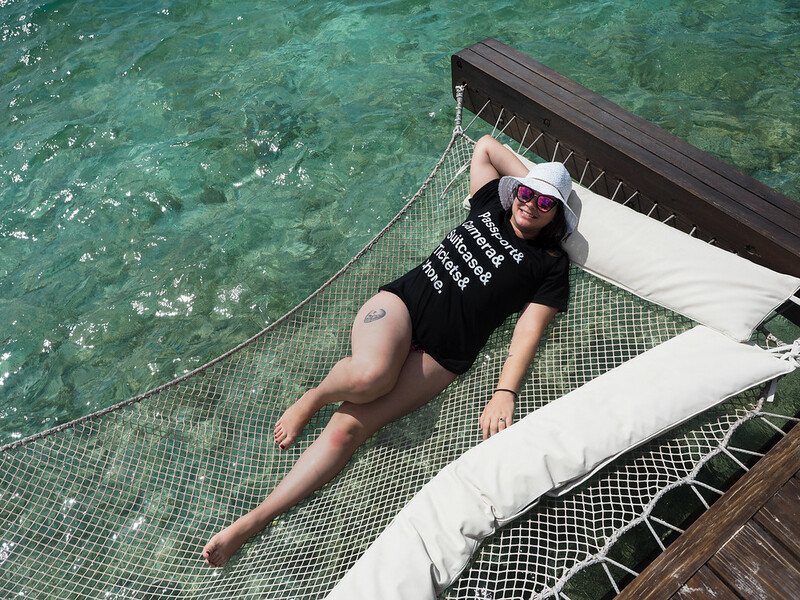 Once you get to your hotel, you’ll have some time to relax after checking in. 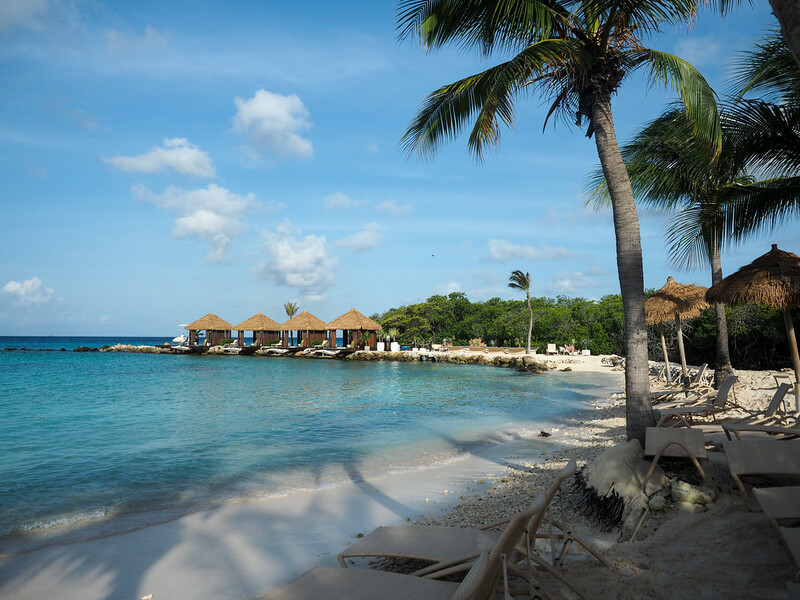 Go for a walk on the beach, or grab your first tropical drink of the trip. Tonight, head out on the Caribbean for a sunset cruise! Aruba has some beautiful sunsets, and watching one from the water is definitely something worth doing. I recommend doing a sunset cruise that includes a seaside dinner – this one is highly rated. 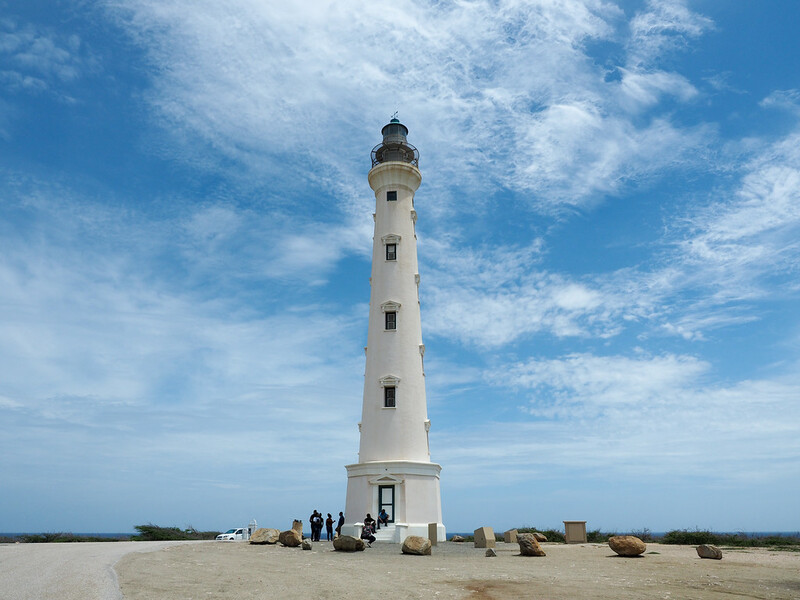 After a good night’s sleep and a big breakfast, I recommend going on a full island tour around Aruba today. The island only measures about 20 miles long and 6 miles across, but there’s more to see than you probably realize! If you decide to rent a car for your entire trip, you could explore today on your own. 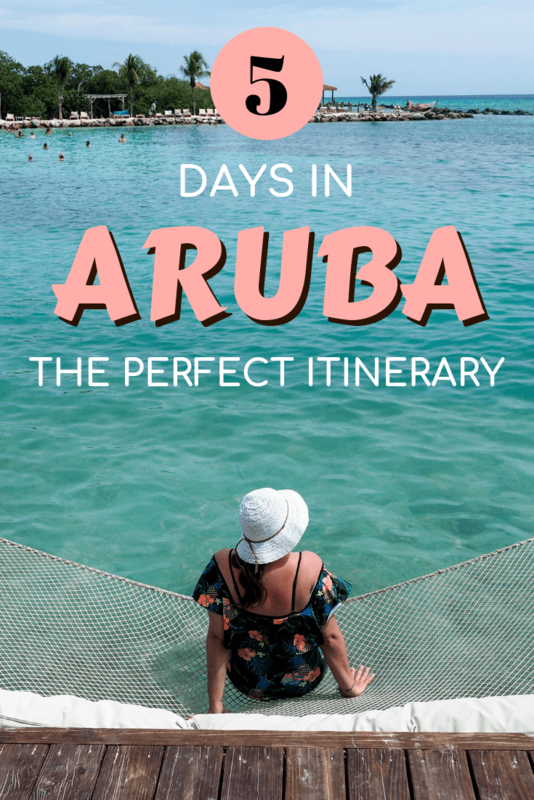 Or, you could do what Elliot and I did and book the “Aruba Island Ultimate Safari,” which is a full-day trip that takes in ALL the highlights on Aruba. 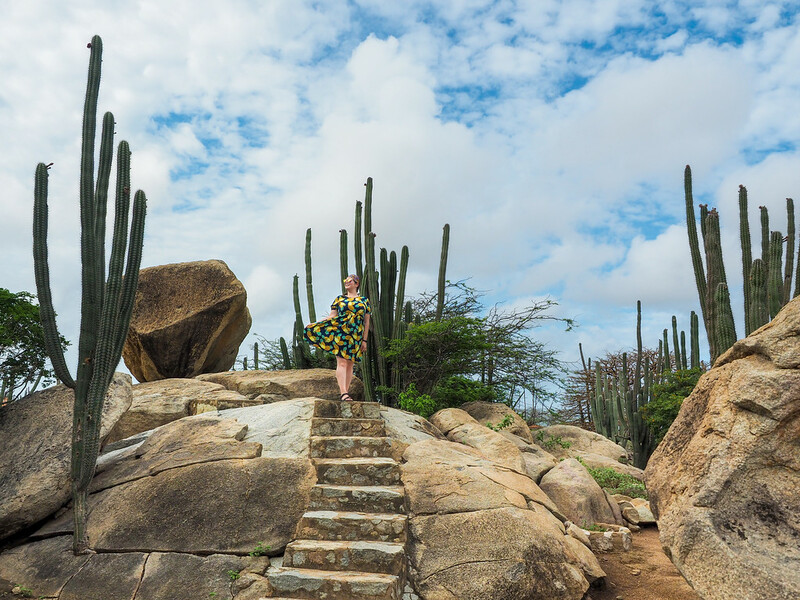 You don’t *have* to go on a tour in order to see all these sights, but it was certainly nice to let someone else do the driving – not to mention that we learned a lot about Aruba from our guides! The only place you may not be able to visit without a tour is the Natural Pool, as it requires some serious off-roading in Arikok National Park. 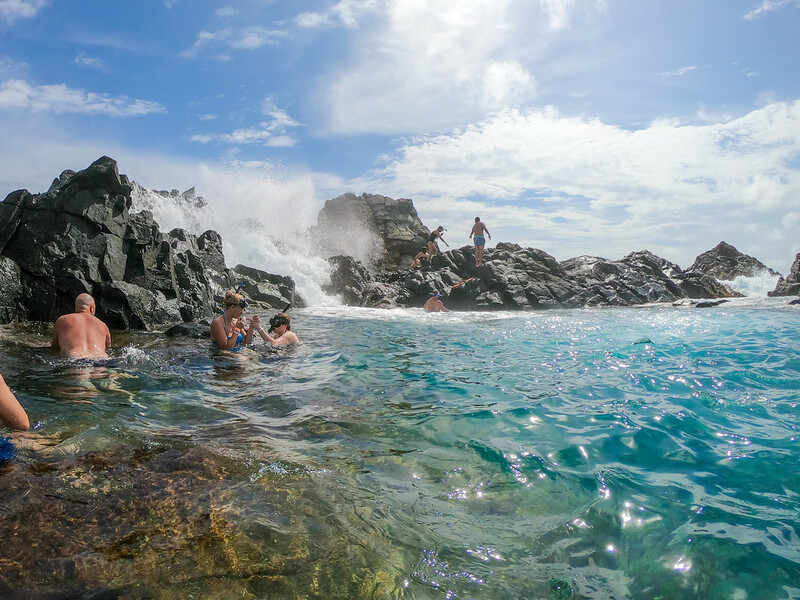 If you want to skip the full-day tour but still want to swim at the Natural Pool, check out this half-day tour. If you do the full-day island tour, you’ll get back to your hotel around dinner time. Where to stay: Again, I recommend staying in one of the hotels/resorts on Eagle or Palm beach. 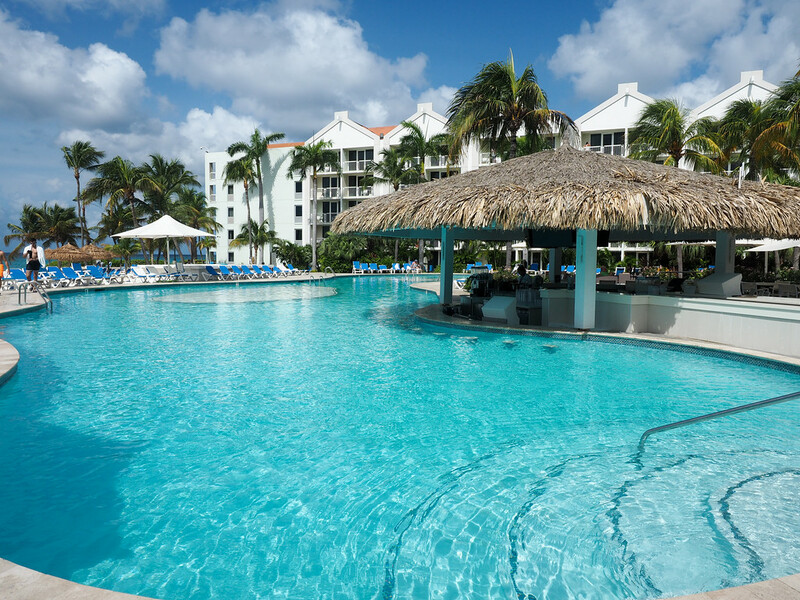 The adults-only Bucuti & Tara Beach Resort is the #1-rated Aruba hotel on TripAdvisor, while the Playa Linda Beach Resort and the Amsterdam Manor Beach Resort are other good options in the area that won’t completely break the bank. 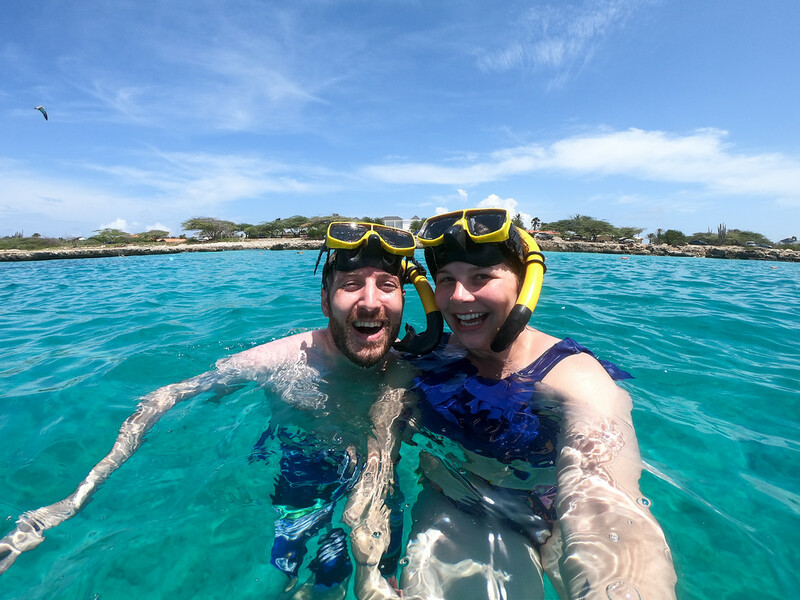 My husband is a water baby through and through, and Aruba has some of the clearest, most turquoise water I’ve ever seen on my travels. So of course we had to book a snorkeling tour! The snorkeling tour Elliot and I chose was this Champagne Breakfast & Lunch Cruise with Snorkeling, which left from Pelican Pier on Palm Beach. 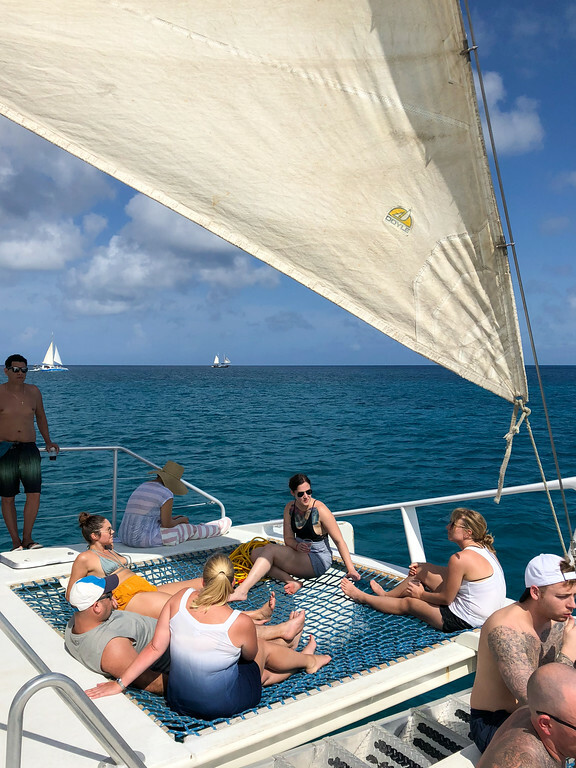 You can’t go wrong with a catamaran cruise! 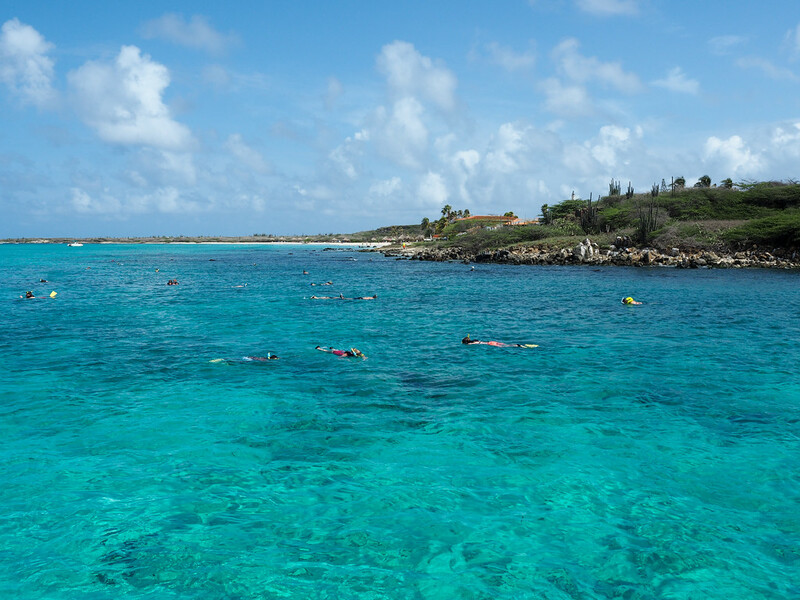 We snorkeled at three different spots: one just off the beautiful Arashi Beach, another in Boca Catalina Bay, and another over the shipwreck of the German WWII ship the Antilla. 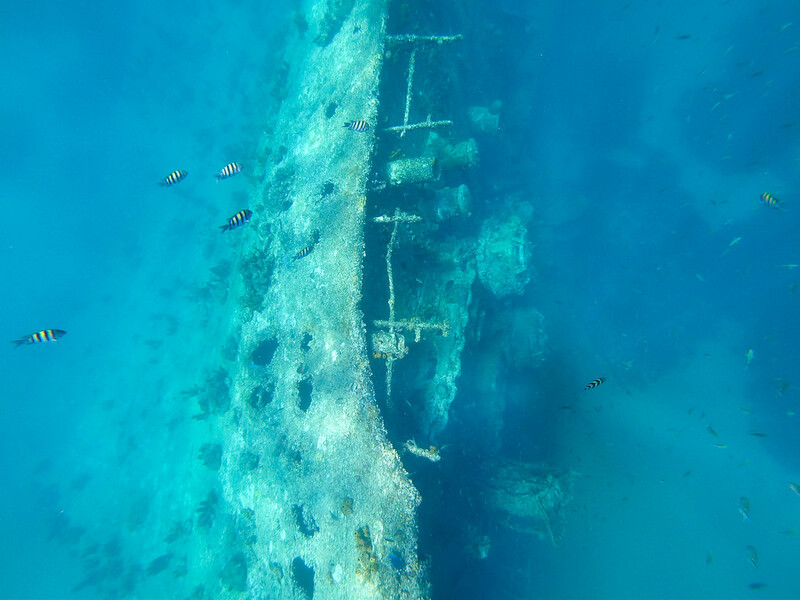 I’ve never snorkeled over a shipwreck before, and it was VERY COOL. On the way back to the pier, you’ll enjoy a bit of a dance party on the catamaran. After your excursion, it’s time to head back to your first hotel to gather your things and transfer to another hotel on the island. 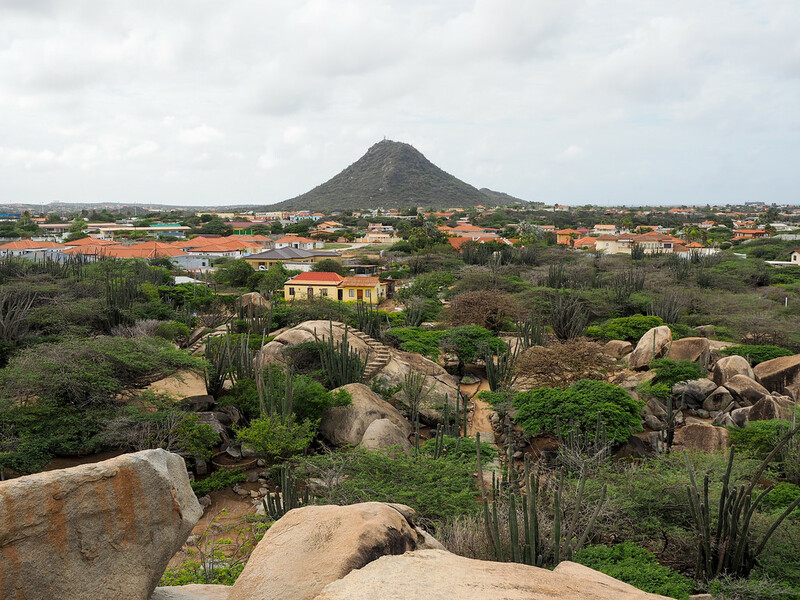 I recommend staying near Oranjestad, Aruba’s colorful capital city, for the rest of your time on the island. 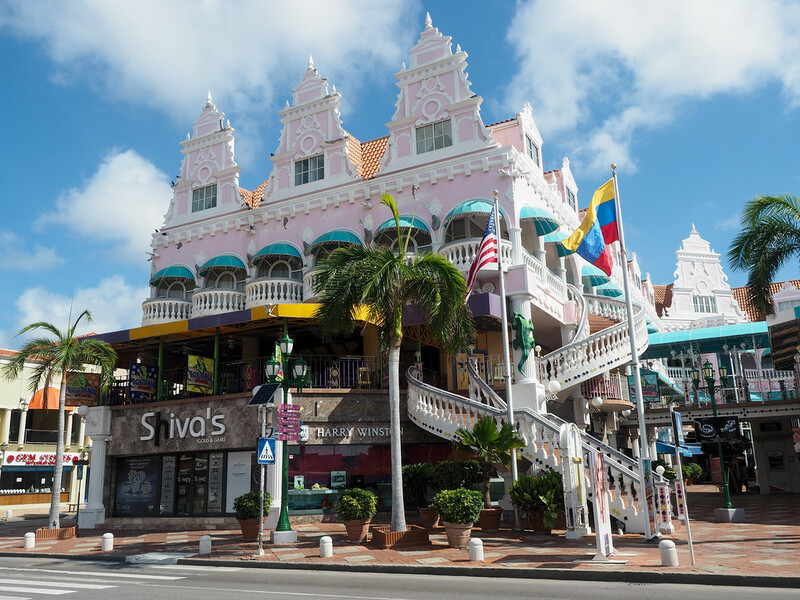 This evening, go for a stroll through Oranjestad and down along the city’s small harbor. It’s a safe place to wander, and the architecture is quite pretty. The previous two days were pretty active, so here’s your chance to just hang out at a beach all day. Aruba has lots of great beaches to choose from. You could rent a car today and just go beach-hopping. 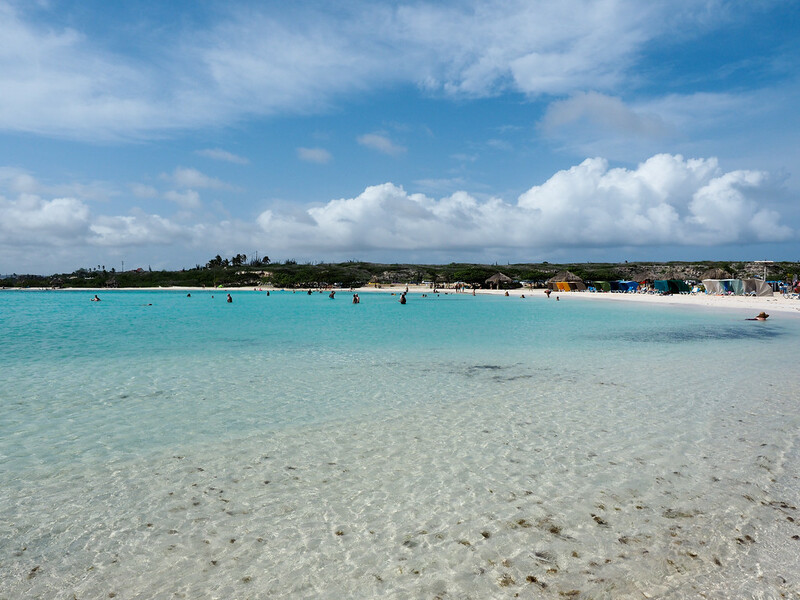 Beaches in Aruba are almost all public, meaning you can stop and visit any that look good to you. OR, if you’re staying at the Renaissance Resort, you can spend the day on the resort’s private island. Renaissance Private Island is the only private island with the only private beaches in Aruba, and it’s more or less reserved for Renaissance guests. 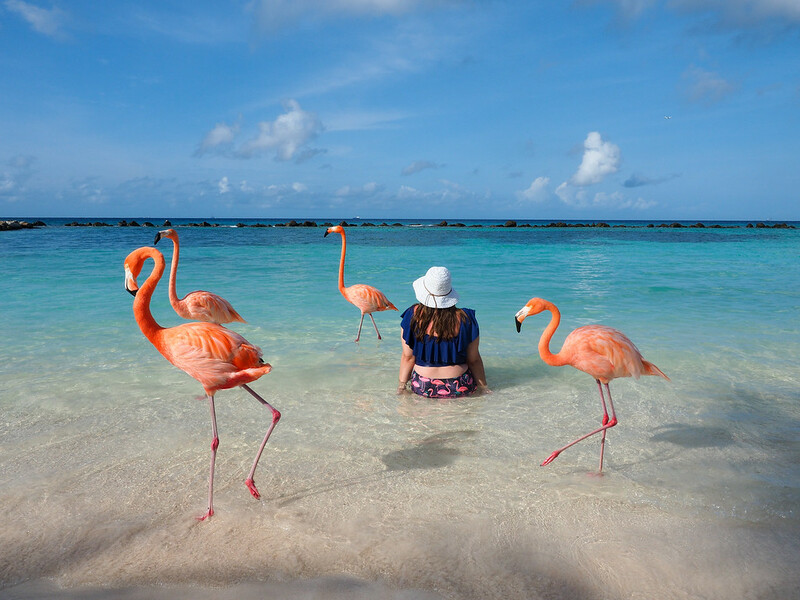 The two beaches on the island are Iguana Beach and Flamingo Beach (a family-friendly and adults-only beach, respectively), the latter of which is home to six pink flamingos. 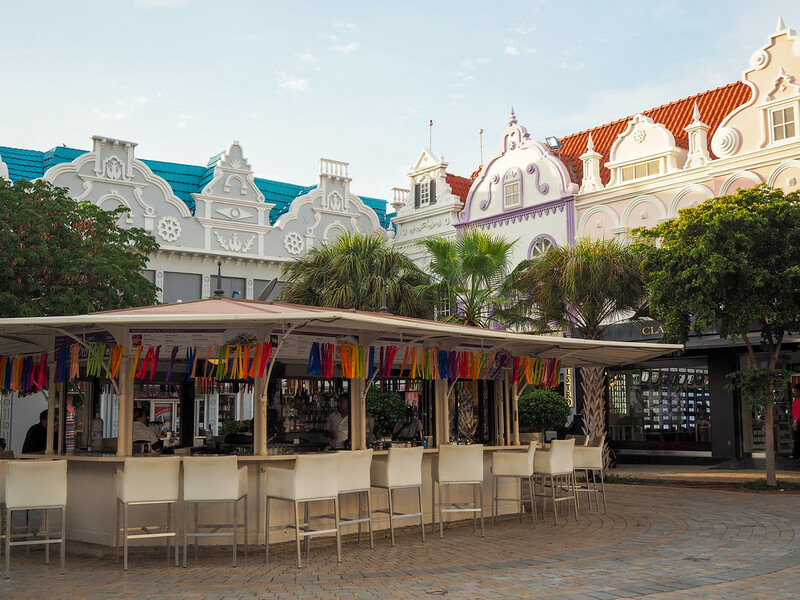 When you’re beached-out, you can catch a boat back to your hotel (it’s only about a 10-minute ride) and maybe go out for dinner in Oranjestad; there are lots of good restaurants within walking distance of your hotel. Many flights back to the US will leave Aruba in the afternoon, so I recommend using your last morning to take one last swim in the hotel pool or ocean. If you’re staying at the Renaissance Marina Hotel, be sure to hop over to Ocean Suites, too, which has an expansive pool area along with a saltwater lagoon right on the beach. Then it’ll be time to check out of your hotel, maybe grab lunch, and then head for the airport. 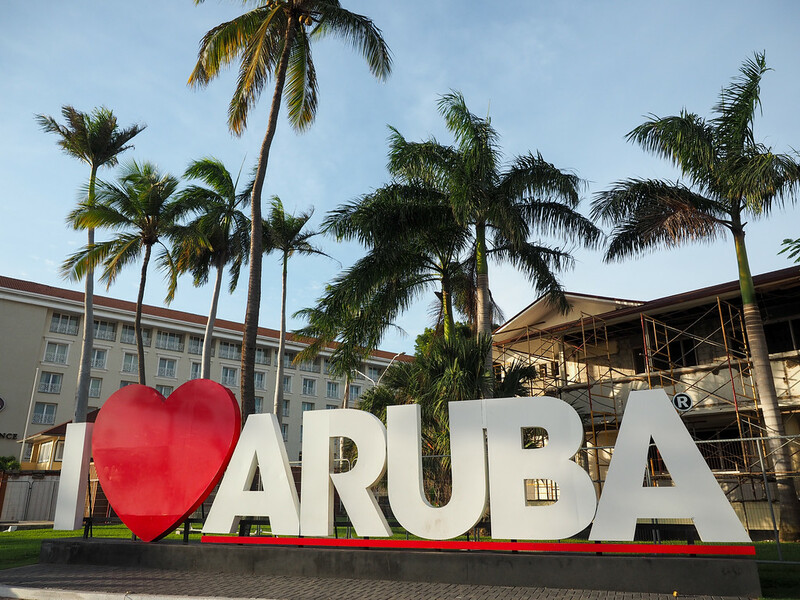 Just be aware that you’ll probably be dreaming about your next trip to Aruba before you ever leave the island! Eduardo’s Beach Shack – You’ll find this stand on Palm Beach. It’s perfect for refreshing fruit smoothies and juices. Yemanja Woodfire Grill – Located in Oranjestad, Yemanja serves up delicious dishes that meld Caribbean and Europeans flavors and styles. It’s one of the top-rated restaurants on the island. Pinchos Bar and Grill – If over-water dining is your thing, you’ll probably enjoy the romantic Pinchos, where you dine on a pier over the water at Surfside Beach. Madame Janette – You’ll find a little bit of everything here, including an extensive craft beer menu. Zeerovers – A favorite among locals and visitors alike, this place serves up seafood that . It’s located in Savaneta, though, meaning you’ll need a car (or expensive taxi ride) to get there. Hotel restaurants that I can recommend include the L.G. Smith’s Steak & Chop House and Aquarius, both located at the Renaissance Marina Hotel. Aquarius has a seafood buffet on most nights that includes a chef cooking up fresh seafood – this is definitely worth it! 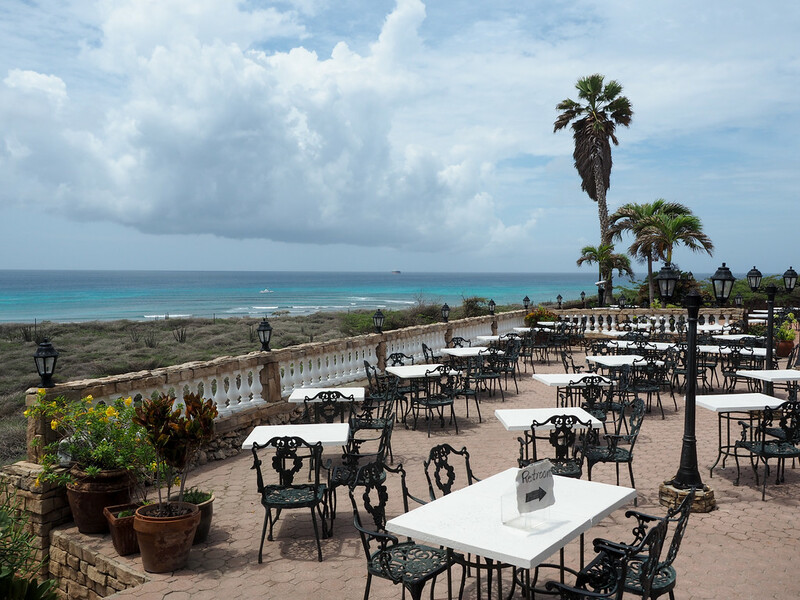 Note: Outdoor dining is the norm in Aruba, so keep this in mind when planning what you’re going to wear. Also, tap water is amazing in Aruba (some of the best in the world!) and absolutely safe to drink. And you can head over to my Amazon shop and click on the “Summer travel packing essentials” list to see more of my favorites. 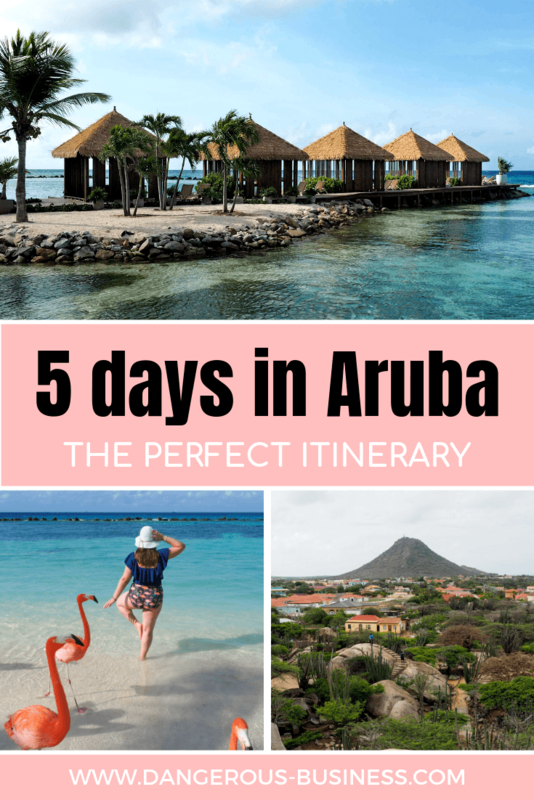 Who’s ready to plan a trip to Aruba? Any activities you’d add to this itinerary?